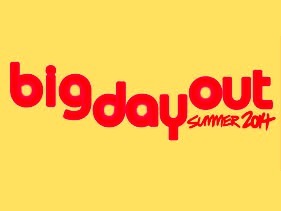 Grab your bike, roll up your picnic blanket and join us for the Big Parks Project’s – Big Day Out! As well as a programme of cycling and walking activities we have free face painting, picnic for the kids and scooters and bikes to occupy the under fives. We appreciate that not everyone owns a bike so we have invited SoSussex with their pop up bike hire. Kids will also have a chance to demonstrate their biking skills and compete in a cycle Roustabout hosted by Smarter Living Network. Prizes will be awarded to the top three competitors. The football club bar with be open for food and refreshments and we will be on hand to answer all your questions on how the park will take shape over the coming months. The day begins with a bike train led to the Big Park by Lucy and her team from Sustrans. Only 1% of primary school children ride to school even though many would like to. A bike train is a safe and supportive way to give kids more confidence on the road. The route has been planned and will be led by trained professionals who will cycle with the children from several local primary schools. 11.30 Nature Walk – Join LDC park ranger Thyone Outram and explore the flora and fauna that inhabit our corner of the South Downs. Bugs, birds and butterflies. 11.30 – 12.30 Guided off road bike ride with Cycle Seahaven (must have own bike) If you have ever wanted to try off road biking on the South Downs or to learn a new route. 11.45 THINKBIKE! BMX stunt team London’s leading bike stunt display team will be on site to wow and amaze with a variety of seemingly impossible tricks and stunts with incredible feats of balance and precision borrowed from the sports of mountain bike trials and BMX. 12.00 Archaeology Walk with Diccon Hart – Did you know that the site of the Big park has been a settlement for thousands of years. Find out more about the ancient history of the area and the discoveries made during the construction works. A short walk for all ages, led by trained Health Walk Leaders. Walking is the cheapest and most natural form of exercise. It’s a good place to start to improve your fitness and helps prevent heart disease, type 2 diabetes and strokes. Please wear comfortable clothing and shoes and arrive ten minutes before the walk is due to start. 1.00pm Children’s free picnic – organised by local group Space At The Table. A voluntary organisation formed to help local families enjoy a square meal. We look forward to meeting you all and giving you a little taste of the incredible things to come. Our Big Day Out in pictures.